Headington removals and storage company covering all removals and storage both residential and commercial in Headington and surrounding areas.Here at Dukes removals we know how stressful moving can be so we aim to help you plan and organise your move so it goes a smoothly as possible.Our removals service in Headington is popular as we are based in Oxford and know Headington well. We offer a free viewing so we can asses your removals and calculate any storage needs. For those who don not have time or just need help we offer a full or part packing service and supply all packing materials.Taking care of your possessions is of utmost importance to us and we will take every provision to make sure your contents are safe. We have moved many businesses over the years and know how important it is to make sure nothing is left to chance on the day.We always visit businesses who are looking to relocate or looking for business storage so we have a very clear understanding of whats involved.Usually with office relocation we have to make a plan of action to limit the time your business is down.With years of experience we are always happy to talk you through and give you free advice. We have a list of businesses we have moved over the years which are happy to supply references on demand. 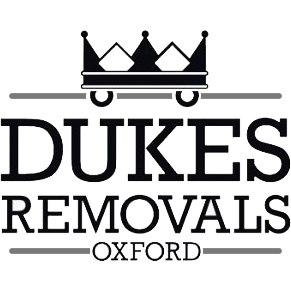 If you are moving in to Headington or a surrounding area then contact us at Dukes and we will do our best to sort your removal requirements. So we can contact you in regards to your free quote. Oxford removals, storage and house clearance company offers a professional removals storage and house clearance service in Oxford.We serve all domestic house and flat removals, office relocation and storage in Oxfordshire. Dukes Storage, offering secure storage solutions for students, residential, safe and secure and dry storage. We can offer access, 7 days a week and offer different types of storage in various sizes, wooden storage units, indoors safe and dry storage.